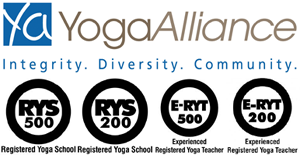 What is Chakra Yoga ? We all know what it yoga, but part of the question remained unanswered and that is what is chakra? Before explaining what Chakra is, first we have to explain where chakras exist. Every human being has a subtle body- it is a body that can’t be seen or touched or can be said Aatma (Hinduism) meaning a spiritual body inside our physical body. 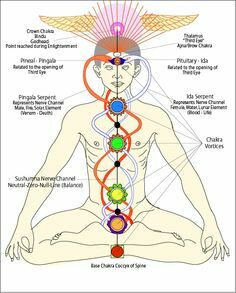 There are seven centers in our subtle body which represent seven chakras, now we know what Chakra is, but still why we should have interest in this subject. Well, it wouldn’t be untrue to say that this topic is of utmost importance because energy that should be flowed un-interruptly in our body gets blocked in these chakras thus creating imbalance in our mental and physical health. So it can be said that by focusing on chakra asans we can balance our subtle body ultimately resulting in mental and physical well being. Every chakra asana has its element and area it works on, so every asana has its own results, importance and channelizing the energy through its chakra brings harmony among our subtle body. It is very important to know the focus and results of each chakra asana to know its gravity but these can’t be measured because it has effects on our subtle body so person has to notice if he/she has any kind of change in emotional state or mental health for e.g. – sense of calmness even in unfavorable situations, extension of thinking capabilities and so on. This is the first chakra and located at the base of spine, this chakra creates base for other six chakras so it is always important to have strong base. As this chakra is related to base so it also signifies basic human necessities like food, shelter, family roots, etc. when this chakra is imbalanced then a person feels greed, become needy and have low confidence, so it’s very important to have this chakra balanced. 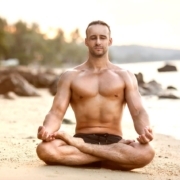 Vrksh means tree and asana means pose so it is called Tree Pose. Stand straight then lift your right or left foot (depends on your choice) ad put it on the inner thigh of your other foot, so now you will be standing on one foot. 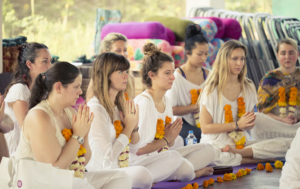 Now, place your hands above your hand clasping each other in Namaste pose. Do this for 2 minutes and then repeat it with other leg, and feel how energy moves around your spine. Svadhisthana is the second chakra after Muladhara and represents our pleasures and enjoyments after laying the base of necessities (Muladhara) human desires pleasures in many things from food to clothes or anything else, Sacral and Pelvic Chakra also represents emotions, intimacy and fertility. 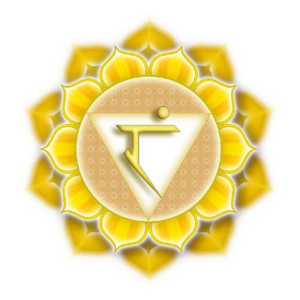 When this chakra is unbalanced, a person’s emotions are all over the place being the feeling of guilty, hardship, un-satisfaction, lack of happiness and the list goes on, but when energy continuously flows through this chakra, a person has all the emotions controlled and has healthy thinking. Devi means Goddess in Hinduism so this asana is called Goddess Pose too. Bring large gap between your feet so they are wider than your body, now bent your knees in a sitting like position (as if you are sitting on a virtual chair), keep your hands up in a position as if you are holding a suitcase on your head. Now, go up and down in a way by standing up and bending knees again and again, do this for eight to ten minutes and feel the life moving in you. It is okay to make noises if you want because it is not weird at all, just do this asana with full dedication. Third in hierarchy, Manipura is called ‘The City of Jewels’ meaning that in this state you will find wisdom, truthfulness, clear mind and many more important and good natural traits that didn’t get developed as they should. In this chakra everything looks beautiful and full of wisdom leaving behind greediness, lust, insecurities, etc, etc. Nav means boat, so this asana is also called Boat Pose. In Navasana, the whole body comes in the shape of ‘V’, first lie down then raise and come in sitting position, start raising your legs without bending and using your hands to support your weight so your whole body will be exactly like a upside down ‘A’. Now start performing this asana by taking your hands back from legs and slowly lowering your legs while you exhale but stop some inches from ground now get back into V pose with inhaling. Repeat this whole process for 5 times, this process creates lots of energy in a person but at the same time it takes lots of energy too. Anahata is the fourth primary chakra and because of its being situated at the center of chest near heart, that’s why it is called Heart Chakra. This chakra opens up a heart to full extent meaning our heart becomes loving, giving, non-violent and a person get detached from the materialistic world and find happiness in true love and giving thus creating peaceful environment. Camel pose is famous for stretching your whole body but it is also suited for opening up heart chakra. In this pose the body takes the shape of Backward D. First, sit down on your knees then inhale ad exhale 5 breaths to calm down nerves and don’t think of anything else except for peace and god, it is very helping in this way, now raise your body meaning that you will form backward L but remember that the gap between your legs should be equal to your hips otherwise you won’t be able to do this pose. Now inhale and expand your chest so it is fully opened up and at the same time try to bend lower without crouching, if you have touched your feet with your fingers then stay in this pose for 5 long breaths but if you haven’t in the first attempt then come back to opposite L position and then inhale and try again until you have touched your feet. It should be noted that after completely doing this pose you have to also attempt dog pose in order to relax up your muscles. Vishuddha meaning especially and extremely pure and that’s why it lays the base for our introduction to our pure soul and being located at neck region, this chakra is also called throat chakra. This chakra is related to speech and truth meaning if it is balanced then a person can communicate his/her feelings openly and in a healthy way also speaking truth without any compromise. And if energy is blocked than a person can’t show his/her emotions openly, get frustrated, depressed and distant from others. Note: – stay cautious while doing this yoga asana because if done improperly it can cause damage like muscles pulling or slipping during the pose so stay cautious. Supported shoulder stand is widely referred to as ‘Queen’ of all the yoga postures (asanas), it is so because it has various benefits which will take more than half an hour to illustrate and still there would be some left. Start by laying flat on blanket or your yoga mattress and loose up your limbs completely, then start raising your legs upward in sky direction and place your knees on floor to support your back with your hands, also remember to keep your legs joint not apart from each other, stay in this pose from 2 to 5 minutes according to your capacity. While doing this pose stay focused that your fingers don’t slip and your legs stay joint otherwise you can pull up your muscle because of carelessness or lesser knowledge. Also you can take support of wall or any other standing material to do this posture, it is highly recommended for opening up throat chakra. Ajna meaning command is the sixth chakra and have control over all the chakras, in other words you can call it the ‘sixth sense’. When this chakra is balanced then the person have the strong sense of intuition, wisdom and the ability to see future and receive message from the world exist beyond our imagination, a person can’t imagine what third eye chakra can bring to him/her- a new sense and purpose of life. Sukh means happiness and that’s why it is also called ‘pleasant pose’, this pose is so easy but a person can’t underestimate its importance and benefit in yogi’s life because in spite being easy it is the most opted pose for meditation and pranayam (breathing control). Start by sitting cross legged on your yoga mattress meaning right leg should be folded and tugged under left thigh and same goes for the left leg, erect your spine and don’t sit in crouching manner otherwise it will be not beneficial in any kind, after erecting spine place your hands on your knees and take 5 long breaths after taking breaths make Hakini Mudra, take 10 breaths while closing your eyes and focus only on your breathing not anything else, it will be hard to abandon all thoughts and tensions but it is achievable after practicing so don’t worry at starting and that’s what meditation is for including other benefits also. After Hakini Mudra place our hands back on your knees and stay there for 5 breaths. Hakini Mudra is known to increase the power of concentration, and in this pose you can easily access calm focus and balance sixth chakra. 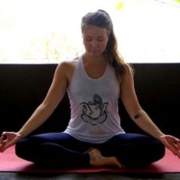 Term meaning Hakini Mudra is the gesture of joining the tips of the fingers of right hand to the left one. This is the head of all chakras and any other chakra can’t compete with this because the radiance, light and the connection to god. 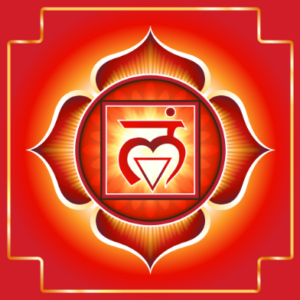 This chakra is situated at the crown of head thus called Crown Chakra. It has no individuality or color but each and every color is united in it meaning that it is each and everything without beginning and end, because it is GOD to whom we connect and then realize the true purpose of our life on earth. Savasana is also called final relaxation because it is usually done after 12 basic yoga poses meaning it is performed last. This pose is quite interesting as a person don’t have to do anything hard in this pose only has to lie down but that doesn’t mean it will be easy because in today’s world a normal person’s mind constantly thinks about various problems which we called tension and this has to be abandoned in corpse pose. Start by lying flat on the yoga mattress, your feet should be 1 and a half feet apart with your toes facing outward direction then place your hands approximately 45 to 50 degree with your both hands palm facing upwards and relax your limbs and body completely. Now comes the main part- inhale deeply and raise your hands, legs, heads to the most extent and stay in this position from 3 to 6 seconds now exhale while dumping your limbs back, coming to the basic lying down position, repeat this from 5 to 10 times according to your capacity, while doing this asana you will feel waves of relaxation and something divine running from legs to head and feeling of lotus opening up around head’s temples and then you will feel as if your connection with your body is disappearing slowly and you are getting up and up, but after sometime life will come again in you and you will start feeling your legs, hands, etc. All the chakras and asanas described above look easy to do and follow but there is nothing in this world that is easy from sewing to fighting battle. Only these asanas can’t help in truly balancing all chakras but need whole lot of asanas and practice so keep that in mind while performing these asanas because they will contribute towards achieving your aim not the whole path. 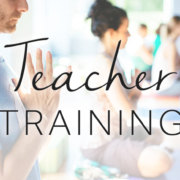 One more thing is that it can take whole life to balance all the seven chakras and many can’t achieve even after lifelong yoga practice, thus it needs the proper guidance of True Guru who can teach you correctly and lead you to the true purpose of life and we are more than happy to teach anyone in our various 200 hour yoga teacher training certification programs in India including yoga teacher training in Dharamsala, Goa and Rishikesh, Thailand, and Varkala.